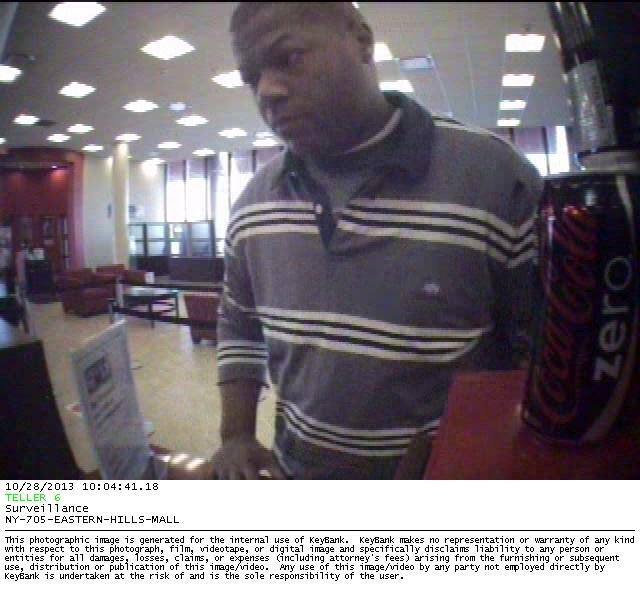 Robbery suspect being sought from KeyBank at 4401 Transit Road, Clarence, N.Y. The Erie County Sheriff's Department said the suspect displayed a note to the teller demanding money. The suspect then fled with an undetermined amount of cash. Once again bank surveillance cameras snapped a very clear photo of the suspect. 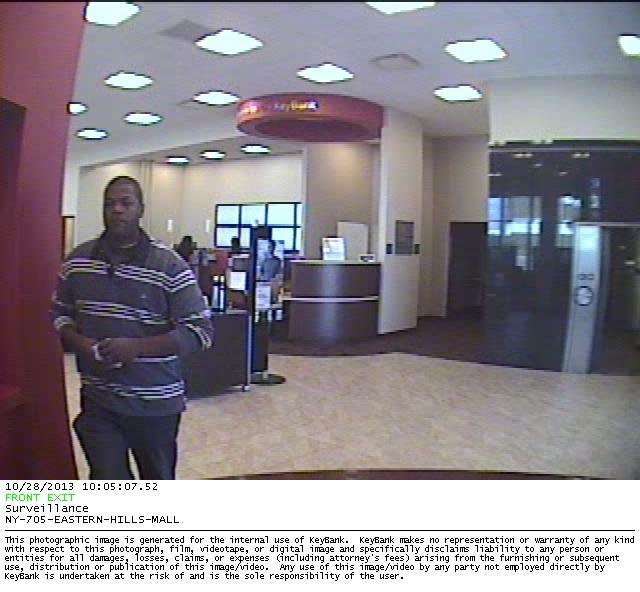 Suspect in KeyBank robbery at 4401 Transit Road, Clarence, N.Y. Anyone with any information is asked to call Detective Scott Piel at 858-2903.